Accelerate productivity and empower your workforce with a handy AIDC tool that promises to get the work done wherever it is. 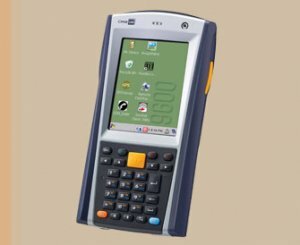 CipherLab's 9690 industrial mobile computer is ergonomically designed for ease of use for the most demanding tasks in the toughest working conditions. With multi-form data input capabilities and massive storage capacity, you can document more and maintain company records in a wide range of formats. Need to access critical information in the field or on the sales floor? No problem. Built-in wireless capabilities keep you connected to information that helps you get your job done.